„Anti-aging“ side wall. It now lasts much longer before developing unsightly cracks when subjected to use with too low air pressure. 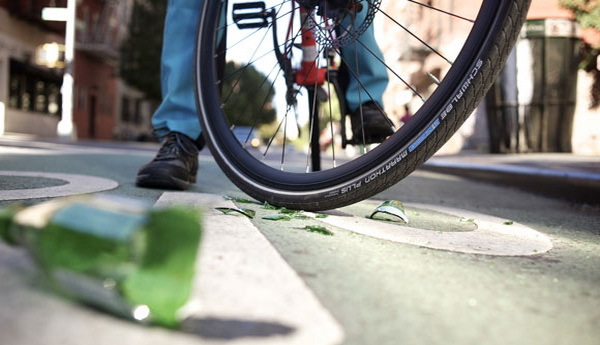 The Marathon Plus is the only tyre worldwide that can be called "flat-less". This is due to its unique and patented puncture protection belt: five millimetres thick and made from highly elastic special rubber. Even thumbtacks can't puncture it. 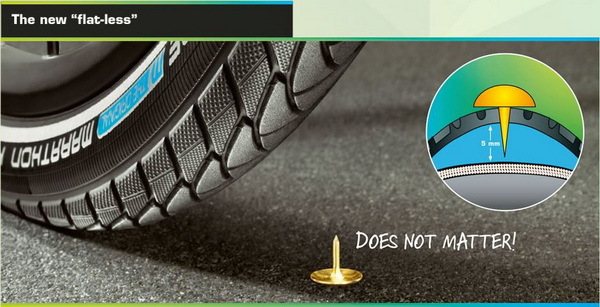 Due to the unique puncture protection, the weight of the Marathon Plus is a little high. But although the Marathon Plus weighs a couple of extra grams, its rolling characteristics are excellent. The empirical	laboratory test confirms what you can feel for yourself on the bike - the new Marathon Plus rolls noticeably lighter than other tyres with puncture protection belts of comparable thickness. Everyone is talking about e-bikes. 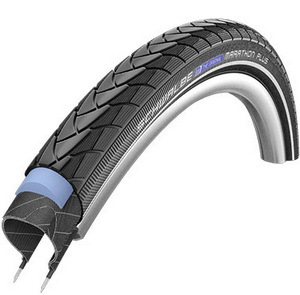 They require an extremely stable, durable and puncture-proof tyre. Naturally, the new Marathon Plus fulfils all e-bike tyre requirements. 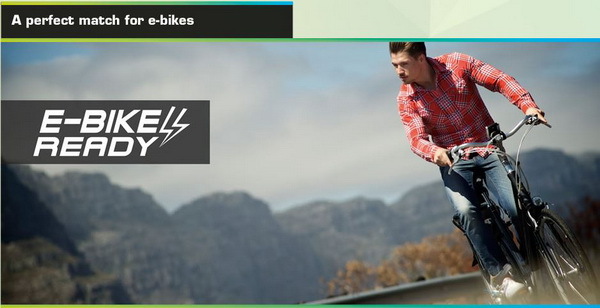 This is not just true of e-bikes with pedal assistance up to 25 km/h. The new Marathon Plus is certified with the European mark of conformity for fast e-bikes up to 50 km/h for all the most popular sizes. The following sizes bear the ECE R75 mark of conformity: 47-406, 47-599, 37-622, 40-622, 47-622.